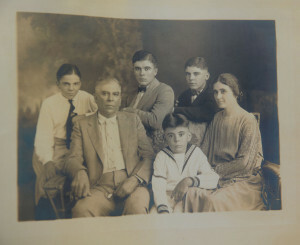 Fred Ronstadt, wife Lupe Dalton and their four sons, Gilbert, William, Alfred and Edward. The Ronstadt Family was honored with the Generations of Commitment Award by Pima Council on Aging at its gala event in April, 2014. Daniel Buckley Productions created the video for the sold-out event. Since Federico (Fred) Ronstadt arrived in Tucson in 1882, the family has shaped Tucson and Arizona more and more with eah passing generation. 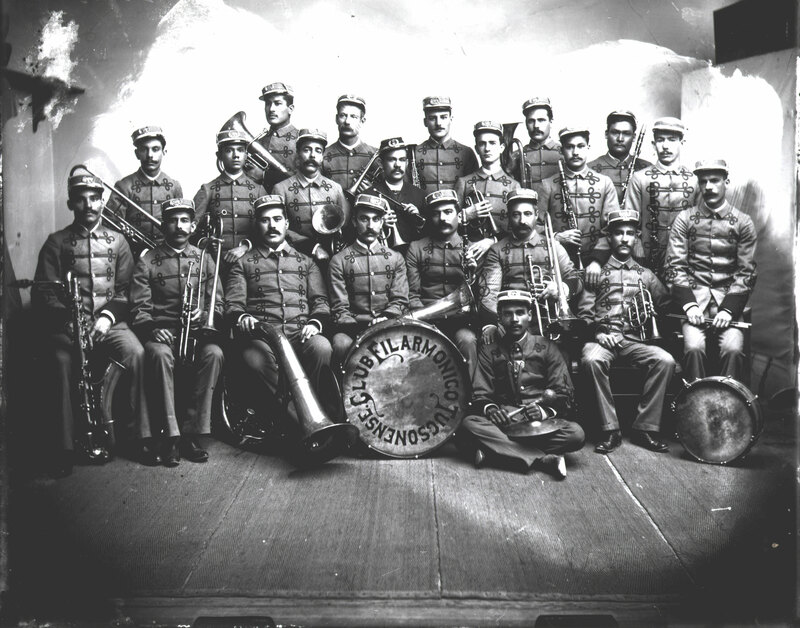 Fred created Tucson’s first classical music ensemble (the Club Filarmonico) and was a founding board member of the Tucson Symphony. His daughter, Luisa Espinel was one of Arizona’s first international opera and art song stars. And his grand daughter, Linda Ronstadt, was recently inducted into the Rock and Roll Hall of Fame. The Ronstadts have been involved in politics, art, ranching, construction, policy making and so much more. This video tells a bit of the family’s history and impact on Southern Arizona and northern Mexico. Click here to view the 16-minute video. 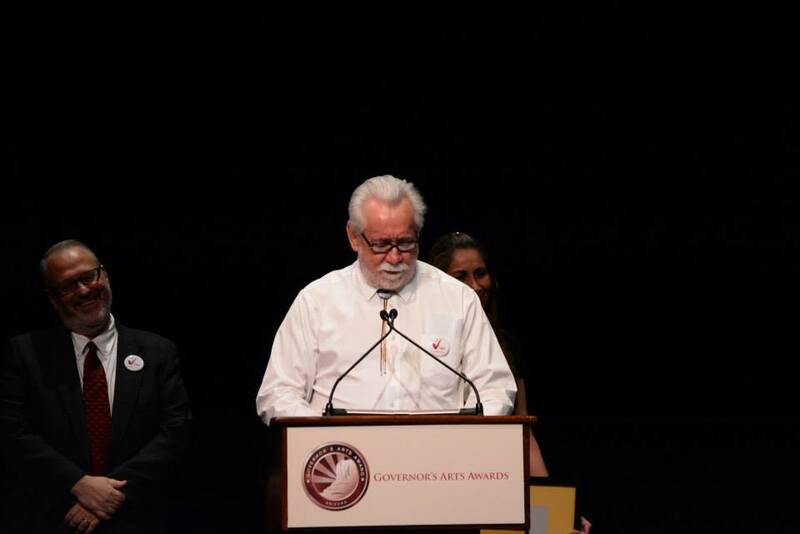 Daniel Buckley makes his acceptance speech at the 2014 Arizona Governor’s Arts Awards in Mesa, Arizona. On March 25, 2014 Daniel Buckley received the Governor’s Arts Award in the Artist of the Year category at a ceremony in the Mesa Arts Center in Mesa, Arizona. A copy of Buckley’s acceptance speech can be seen by clicking this link. An article by the Tucson Weekly can be found by clicking here. For the Arizona Daily Star’s article, click here. For more on Daniel Buckley go to Daniel Buckley Arts. Tucson’s Club Filarmonico, started by Federico Ronstadt. In conjunction with the Pima Council on Aging, Daniel Buckley Productions LLC is conducting interviews with members of the Ronstadt clan about the family’s history and numerous contributions to the Tucson community. The Ronstadts have been active members of the Tucson community since the late 180s when Federico Ronstadt first moved to town, followed shortly thereafter by two brothers and a sister. Known most widely for singer Linda Ronstadt, the family also produced the first symphonic group west of the Mississippi (the Club Filarmonico), one of Arizona’s pioneers of opera and art song (Luisa Espinel), a former Chief of Police (Peter Ronstadt), former Director of Parks and Recreation (Jim Ronstadt) and a former Tucson City Council member (Fred Ronstadt). PCOA will honor the Ronstadt Family on April 12 at its annual Generations of Giving gala, and the video shot by Daniel Buckley Productions LLC will be shown at that time. Contact PCOA for ticket information. The Mariachi Miracle is underway! The documentary on how mariachis and folklorico dancers changed the culture, politics, economy and educational practices of Tucson, Arizona is in production, slated for release in spring, 2015. A book of the same title will accompany the release of the film. 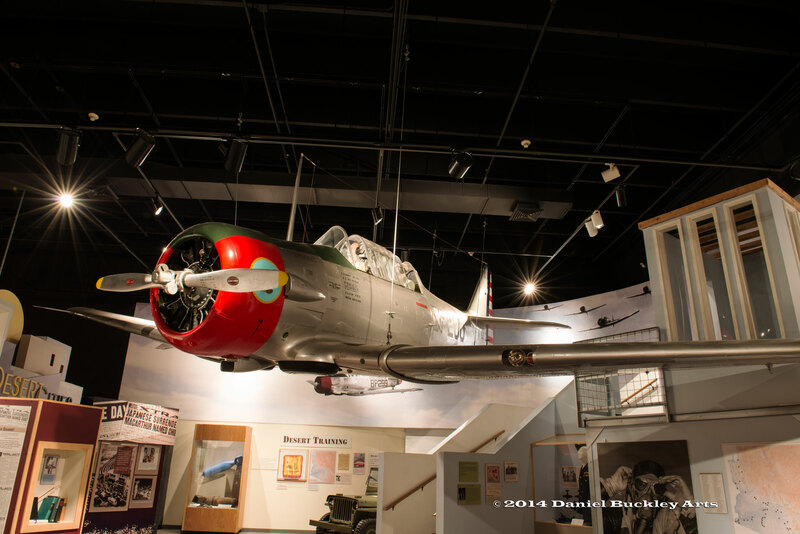 While the project focuses on Tucson, that city serves mainly as an example of what is going on all over the United States in cities and towns with significant Mexican American communities. 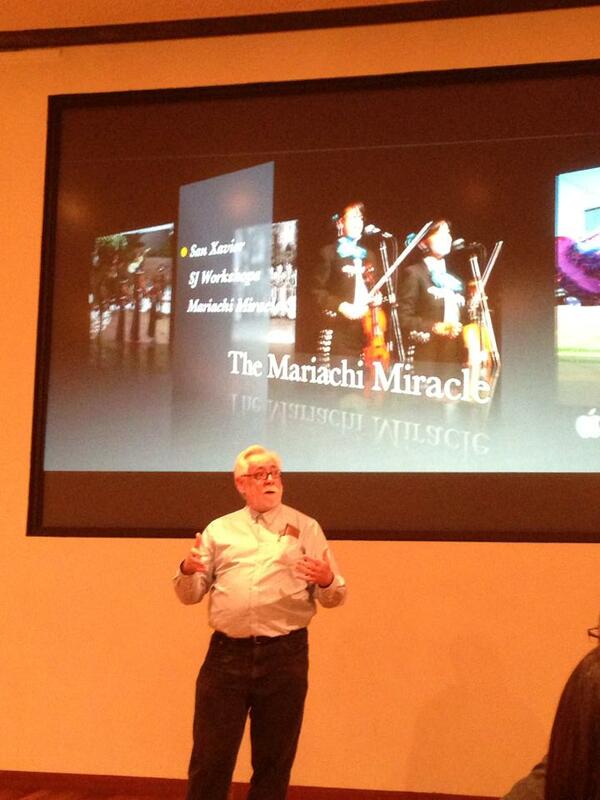 On Sept. 18, Daniel Buckley was in San Jose, California showing snippets from the upcoming film at VivaFest! An audience comprised of students, parents, anthropologists, board members and the superintendent of schools for the San Francisco district (Richard Carranza) was on hand to watch the clips, hear the story and tell a bit about their own lives. It was a great gathering all around. The film is the sixth in producer/director Daniel Buckley’s Cine Plaza at the Fox documentary series, and his 8th overall. In the next few months Buckley will be shopping the film around for a broadcast home and wrapping up interviews with community elders. In the spring the focus will be on mariachi and folklorico educational programs in the schools, followed by a trek east in search of the roots of the Tucson International Mariachi Conference. You can learn more as the project progresses at the Mariachi Miracle blog or through the project’s FaceBook page. For the fourth year in a row, Daniel Buckley Productions has been chosen by Pima Council on Aging to produce the video for its Generations of Commitment award. The award recognizes families that have given generously to the Tucson community for multiple generations. This year’s recipient was the Lohse Family, which is now in its fifth generation of service to the community. Buckley interviewed family, friends and folks they have served around the Tucson community to produce the 8-minute video for PCOA’s gala fundraiser April 21. 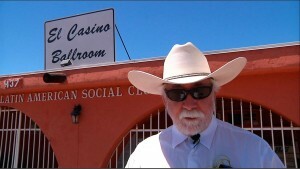 Daniel Buckley’s 2012 documentary “Tucson’s Heart and Soul: El Casino Ballroom” has been chosen to be part of the 2013 Arizona International Film Festival. The film will be screen on April 20 at 2 p.m. at The Screening Room, 127 E. Congress, Tucson, Arizona. Buckley will be on hand at the screening, and copies of the DVD will be available for sale. 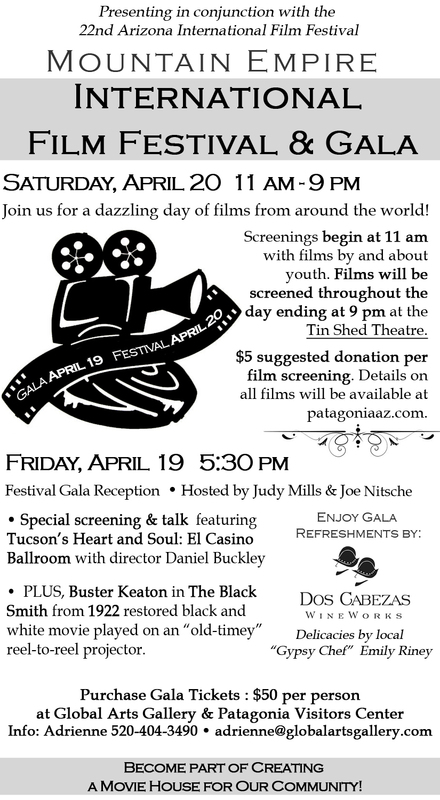 In addition the film will be featured in a special event in Patagonia, Arizona to raise funds for a film projector for the town’s Tin Shed Theatre on Friday, April 19. 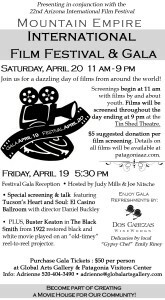 And Buckley will be part of a Tedx Tucson salon on April 18 at 5:30 p.m., talking about documentaries and community service. 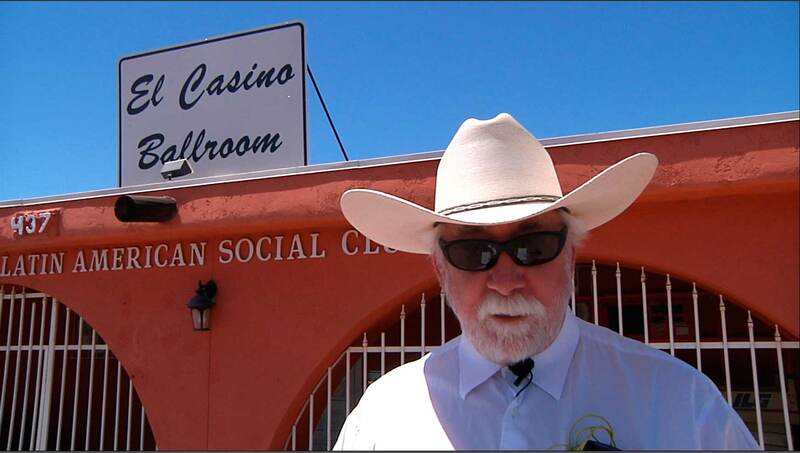 “Tucson’s Heart and Soul: El Casino Ballroom” is Buckley’s 7th documentary, and the fifth in his Cine Plaza at the Fox series. 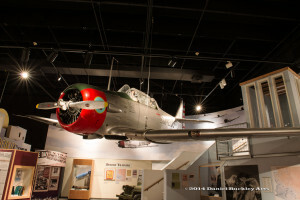 It focuses on a 65-year-old landmark in Tucson, Arizona that has been the true community center for Tucson’s Latino population, and a place where folks of every ethnic background have been welcomed since it opened in 1947. Edited entirely from the perspective of the many people who fell in love, celebrated, saw shows and marked cultural milestones there, the film also takes it its near closing after the roof blew off in the 1990s, and the way the community rallied around it to put El Casino back in action. For more on the film and its production see Daniel Buckley’s blog. Buckley’s 8th documentary, on the transformative power of Tucson’s mariachi and folklorico movement, is in production now and slated for premiere in 2014. After 13 months and roughly 80 videos, Daniel Buckley Productions has wrapped up its video production contract for the state centennial website, www.arizonaexperience.org. The work took Buckley on a journey of Arizona’s history, resources and potential for the future as he met and talked with captains of industry, artists, scientists, educators and historians to augment the larger picture of Arizona in its centennial year, overseen by the Arizona Geological Survey. 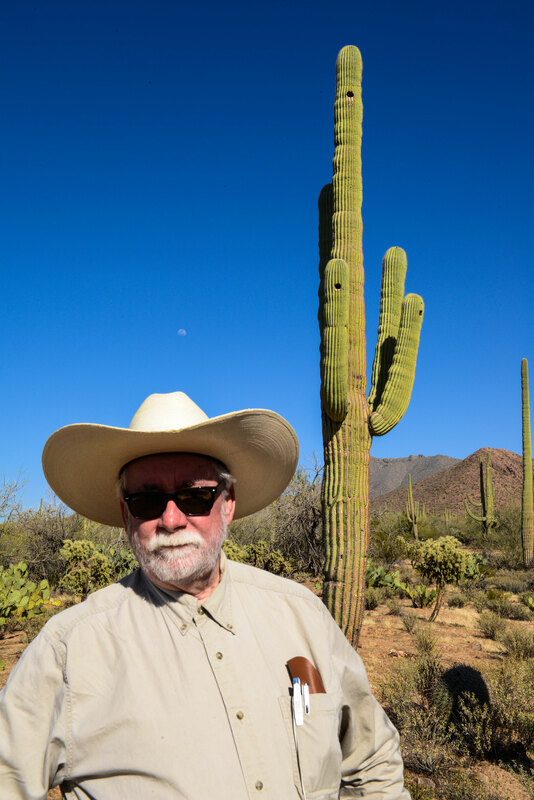 A 40-plus year Arizona resident, Buckley’s wide-ranging background in the earth and space sciences, newspaper work and the arts, as well as his contacts around the state, made him a natural partner in the project following his creation of a fundraising video for the effort in December of 2011. Buckley pitched the idea of becoming an independent content producer for the Arizona Experience shortly after and work began a month before the start of the Arizona Centennial Year on February 14, 2012. The journey began with videos on Arizona’s lead up to statehood, and the first artist portrait – on Native American flutist R. Carlos Nakai – and ended with the unveiling of a statue on the man on Arizona’ great seal – miner George Warren. Along the way there were interviews with Intel CEO Craig Barrett about Arizona’s potential and education needs, visits with scientists such as astronomer/solar power researcher Roger Angel, Ecological Restoration Institute director Wally Covington, human genome biologist Jeffrey Trent, Phoenix Mars Lander principal investigator Peter Smith, along with the man who is working out how to build algae farms in Arizona to produce oil, Randy Ryan. Buckley met with innovative educators as well, including Ask a Biologist’s Charles Kazilek, Kerry Schwartz of Arizona Project Wet, and Biotech Project director Nadja Anderson. Featured as well were visits with Arizona Governor’s Office on Energy Policy director Leisa Brug, Dr. Jerry Howard of the Arizona Museum of Natural History as he and his team dug up ancient Hohokam irrigation canals in Mesa, and with Native American art expert Mark Bahti as he introduced viewers to the range of indigenous art in Arizona. Artists such as Calexico’s Joey Burns, Grand Canyon photographer Bruce Aiken, western sculptor Bill Nebeker and mineral photographer Jeff Scovill were feautured in the project, as were such important places as the site of the first ecological research station in the world – Tucson’s Tumamoc Hill – and the exquisite Sedona Red Rock State Park. Buckley and the Arizona Experience crew took web visitors to the Yuma Air Show, a celebration of Dia de los Muertos in Phoneix, on a tour of the Sonoran desert’s food stuffs with former Native Seed SEARCH director Angelo Joaquin, Jr. and wandered through the sprawling Musical Instruments Museum. And they brought viewers in as a group of powwow singers from Canada laid down tracks at the studios of the world’s oldest Native American music label, Canyon Records. The year flew by like the blink of an eye, but in the end, important snapshots of the state were shared online with everyone in the world.